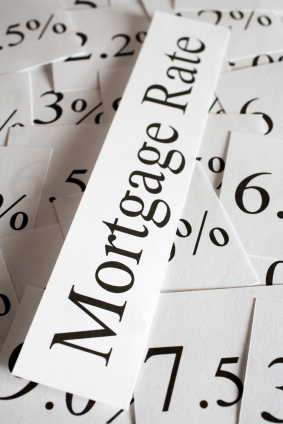 Dave The Mortgage Broker > Monday Morning Interest Rate Updates > How Much Higher Will Canadian Mortgage Rates Go? What really caught the market’s attention was the Bank’s decision to drop the word “gradual” from its policy statement. Instead of reiterating that it would take “a gradual approach, guided by incoming data”, as it has for some time now, the BoC instead cautioned that “the policy interest rate will need to rise to a neutral stance to achieve the inflation target”. Neutral rate – The BoC defines the neutral rate as the policy-rate level that neither stimulates nor restrains our economic growth. Today the BoC pegs our economy’s neutral policy-rate range between 2.5% and 3.5%. When the Bank raises its policy rate to within that range, it can be said to have adopted a neutral monetary-policy stance. Inflation target – The BoC operates with an inflation target of 2.0%, which it measures using four key Consumer Price Index (CPI) gauges: total CPI (2.2% last month), CPI-trim (2.1% last month), CPI-median (2.0% last month), and CPI-common (1.9% last month). This post provides a detailed explanation of what each of these gauges is designed to measure. When the BoC says that “the policy interest rate will need to rise to a neutral stance to achieve the inflation target”, it is essentially saying that it expects that it will need to raise our current policy rate of 1.75% into a neutral-rate range of between 2.5% and 3.5% in order to keep inflation at or very near 2%. The BoC believes that our economy is experiencing broad-based growth and that it is operating near to its full capacity. Under the current conditions, the Bank believes that our economy no longer requires a stimulative policy rate. The Bank dropped the word “gradual” from its key policy statement because it didn’t want to give the impression that it was operating on a “pre-ordained or mechanical policy-rate path”. Instead, it will rely on the real-time incoming data to determine how quickly the policy rate should be moved from a stimulative level to a neutral level. BoC Governor Poloz said that his discussions with market participants revealed the widespread belief that the Bank’s use of the word “gradual” was a signal that it would pause between rate hikes, and he wanted to dispel that notion. Instead, he said that the Bank will move when the data confirms that it’s time to do so. Governor Poloz reiterated that the BoC’s pace for additional tightening could be faster or slower [emphasis mine] than currently expected. Dropping the word “gradual” gives the Bank more latitude to react to conditions as they unfold. This move away from forward guidance was foretold by Governor Poloz in a speech he made in Victoria this past July when he revealed that the BoC would project more uncertainty and be a little less predictable in the future. That decision was made in part because the Bank had genuinely become more uncertain about our economy’s trajectory but also because it believed that too much forward guidance had diminished the concomitant impact of its prior policy-rate moves when they were announced (which I wrote about here). Nuance aside, if the BoC’s baseline scenario for our economy unfolds as forecast, make no mistake, it expects that it will need to accelerate its rate-hike timetable. While we would be foolish to ignore that warning, I did find it surprising under our current circumstances. Global GDP growth is projected to slow from 3.8% in 2018 to 3.4% in 2019 and 2020. U.S. GDP growth is projected to slow from 2.9% in 2018 to 2.4% in 2019 and to 1.6% in 2020. Chinese GDP growth is projected to slow from 6.6% in 2018 to 6.1% in 2019 and to 5.8% in 2020. Canadian GDP growth is projected to stay at 2.1% in 2018 and 2019 before slowing to 1.9% in 2020. The BoC is positioning itself for more aggressive monetary-policy tightening at the same time that it is forecasting reduced GDP growth globally, in the world’s two largest economies, and at home over the next three years. That slowing-growth backdrop would not normally be associated with rising policy rates, unless the BoC still anticipates rising inflationary pressures. So where might they come from? It’s true that we are starting to see broad-based growth across most sectors of our economy, but that growth, while positive, is still tepid. It’s also true that recent sentiment surveys show that Canadian businesses are more optimistic than they were, that they plan to invest in expansion, and that they are increasingly worried about labour shortages. But improving sentiment doesn’t always come to fruition. While Canadian business investment has risen of late, it is doing so in fits and starts. And while labour shortages are a growing concern for businesses, thus far, labour costs haven’t risen as expected. Any economist will tell you that low unemployment should portend rising incomes, but in the current business cycle that seemingly obvious correlation has broken down. Consider that while our unemployment rate has hovered near its record low so far this year, average hourly wages are lower today than they were six months ago, and average earnings for full-time workers have fallen for three straight months. For some time now, the BoC has been trying to figure out why labour costs aren’t rising as expected. In a speech made earlier this year, Governor Poloz referenced a recent BoC study, which calculated that our economy still had up to half a million workers on the sidelines. The Bank estimated that this untapped labour could permanently increase our economy’s non-inflationary output potential by approximately 1.5% and allow us to “prolong the expansion without causing inflation pressures”. Our economy has barely created any net new jobs since that speech was made, so one is left to wonder what happened to the untapped labour pool that gave the BoC much more confidence about our economy’s potential for non-inflationary growth only nine months ago. Canadian inflation did spike up to 3% this past July, but last week the BoC acknowledged that this was caused largely by a technical change in the way that airfare costs were measured, and it basically just wrote off that anomaly as short-term noise. The Bank also forecasts that inflation will continue to hover at around 2% next year as our energy prices level off and as the one-time impacts of past legislated minimum-wage increases fade away. Yet it still expects that it will need to accelerate its rate-hike timetable to ensure that inflation stays on target. It certainly looks as though inflationary pressures are due to rise in the U.S., and perhaps that explains the BoC’s more hawkish tilt. The U.S. federal government’s budget deficit now stands at about 4% of GDP, a level that has historically been reserved for severe economic recessions and not for times when the U.S. economy is operating at its full potential and the U.S. unemployment rate is 3.7%. If U.S. inflation takes off, we will import that rising inflationary pressure over time, and the BoC has to guard against that risk. But in the interim, the U.S. Federal Reserve is hiking its policy rate with a vengeance and there is a growing belief that its rapid tightening will tip the U.S. economy into recession. If that happens, the Fed will almost certainly start cutting its policy rate, and the BoC would likely follow its lead. There is no denying the BoC’s increased sense of urgency. I just don’t see the obvious source of it. Most of today’s variable-rate borrowers were qualified using the stress test, and if you passed that test, and if your circumstances haven’t materially changed, you should be able to afford variable-rate increases that go beyond even the ones that would result from an aggressive BoC rate-hike timetable. Choosing a variable rate is a long-term strategy that comes with periods of short-term volatility. While many of today’s variable-rate borrowers enjoyed the period from September 2010 to July 2017 where we didn’t see a single BoC rate hike, that was the exception, not the rule. I am not the only one who sees a disconnect between our current economic data and the BoC’s hawkish turn. The initial reaction of bond-market investors, who are known to shoot first and ask questions later, was also telling. They would typically be expected to push bond yields higher to account for the expected inflation rise and BoC rate increases to come, but instead, the five-year Government of Canada bond yield sold off shortly after Wednesday’s announcement and closed six basis points lower on Friday. The Bottom Line: The BoC raised its policy rate by another 0.25% last week and also removed the word “gradual” from its key policy statement. The Bank now anticipates that it will need to raise its overnight rate to at least 2.5% (up from 1.75% today) to keep inflation stable, and it will do this at whatever pace the data say is necessary. While variable rates rose again last week, for the reasons outlined above, I don’t see a convincing case for the more accelerated rate-hike timetable that the Bank is now hinting at. Meanwhile, the bond market’s reaction to the Bank’s more hawkish tone was also muted, and as such, fixed mortgage rates have been unaffected thus far. Stay tuned.